I know, I know. There is a lot of season left and don’t need your words of wisdom. Blah, blah, blah. The high temperature in Des Moines for Wednesday is negative-seven. Allow my mind to wander, ok? Have you guys stopped to think about what the month of March could look like here in Iowa? You could realistically watch every postseason game in person that the Cyclones play in without ever having to step on an airplane. Of course, there’s the annual Big 12 Tournament in Kansas City from March 13-16. 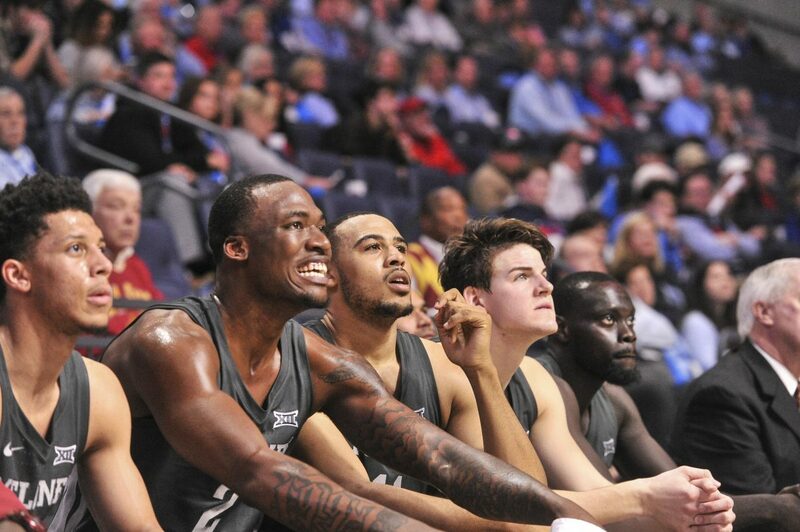 If the Iowa State men continue their winning ways, an NCAA Tournament berth at Wells Fargo Arena in downtown Des Moines is very realistic. I’m not sure that many people know about this one though: If the women land a top-four seed, Iowa State will host first and second round competition in Hilton Coliseum. The Sweet 16 — Midwest Regional connected to Des Moines — is in Kansas City. The Final Four is in Minneapolis. I hope you saved up some money and vacation days. Here’s a checkup on both teams as we prepare to enter the month of February. 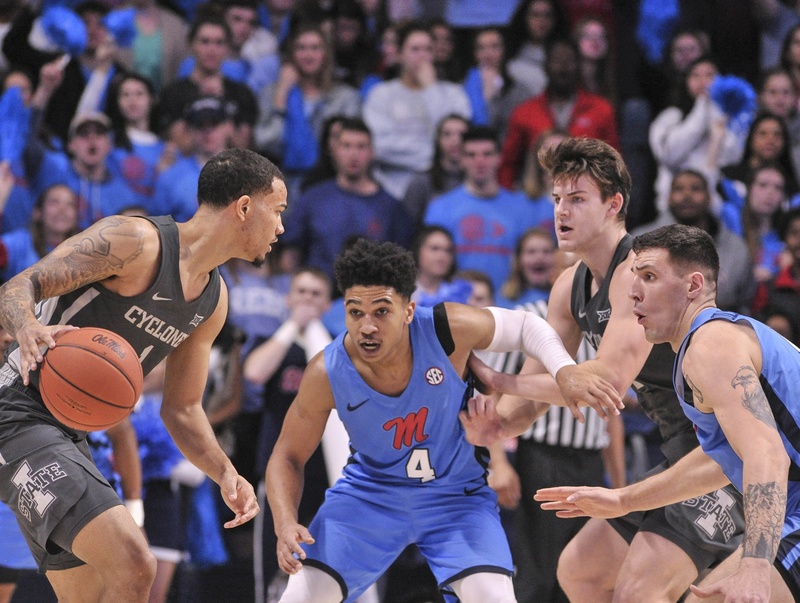 Shooting a ridiculous 69 percent from the floor makes everything look good, but defense is where the Cyclones thrived on Saturday. That will have to continue to be the case for this team to go deep in March. If you dig deeper than the box score, Iowa State held Ole Miss to 36 percent shooting. As a result, without having gone through to look at them all, the Cyclones posted their best shot chart of the Steve Prohm era. 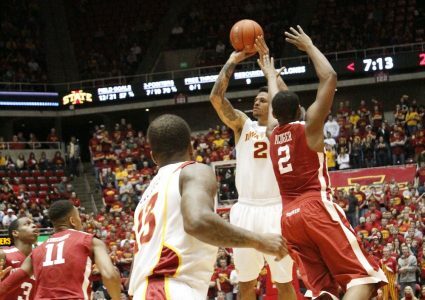 For the most part, the Cyclones attempted open threes and lay ups in Saturday’s 87-73 win. That’s how you overcome 19 turnovers on the road to beat a ranked team by 14. On Talen Horton-Tucker: I have never been a proponent of taking THT out of the starting lineup because of the raw talent that he brings to the floor. I’m happy to see that he’s once again starting to show that after hitting a bit of a freshman wall to start Big 12 play. Horton-Tucker is starting to remind me of senior year Deonte Burton. For one, he’s versatile and can play four positions on the floor. He also can play 10 minutes and look like an NBA all-star and then completely no-show for the next five. Still, Prohm has to roll with him. That’s some elite talent and THT’s ability to get into the lane is a total game changer for teams trying to zone Iowa State. The best part is that Horton-Tucker appears to have learned a new trick: Get inside of the lane, let the defense collapse and find an open teammate for three. His five assists on Saturday were far more impressive than the game-high 23 points. 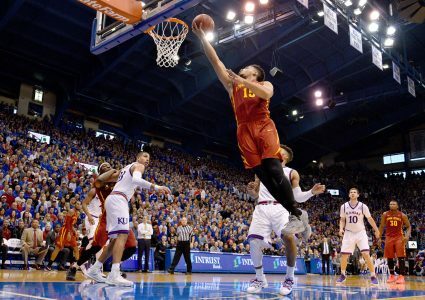 Heading into this week, Iowa State is 15-5 (5-3) but slated at No. 11 in the RPI. I’m more interested in the Big 12 standings though as this team has a legitimate shot to finish second in the conference. In fact, if I were to project spreads for the next six games (Texas Tech, at K-State, West Virginia, at TCU, Oklahoma State and at Oklahoma), I could make an argument that Iowa State should be favored in at least five of them and possibly all six. Just a few weeks ago, it appeared that this would be an “if Bridget Carleton is off, there’s no chance” type of team. Carleton still is vital and has to be great for Iowa State to reach its peak, but we’re steadily seeing other ladies step up. Alexa Middleton appears to be finding her legs in Big 12 play. Kristin Scott had one of the most incredible box scores I have ever seen on Saturday at Oklahoma State. The sophomore went 11-of-11 from the field — a school record ‚ but impressively was 7-for-7 from 3-point range en route to a 31 point performance. That’s not all. Freshman Ashley Joens and sophomore Madison Wise each have the ability to hit five or more threes in a game on any given night. This team won’t surpass Baylor in the Big 12 standings, but I can make an argument that Iowa State is the second best team in the conference.